Fall offers so many playful learning experiences for preschoolers. From trees and leaves, to sensory smells, to pumpkin explorations, we’ve combined the best of “all things fall” into a Fall Theme for Preschoolers designed for use at home, in childcare, or in the preschool classroom. Come learn and play with us this fall! FALL THEME FOR PRESCHOOLERS: Playful Learning ALL Season Long! The Fall Theme for Preschool is a 3-in-1 playful learning theme covering 3 different units (Leaves and Trees, Pumpkins, and Non-Scary Halloween) with 168 (total) pages for use in Preschool. If you plan to use the theme to accompany core studies for one week only, you will have many activities left for new lessons the following year. This theme includes playful learning activities for math, science, and literacy as well as numerous songs, poems, art and crafts activities, gross motor ideas, food/food crafts, dramatic play, and book suggestions. A 49 page instructional manual (PDF format) serves as a guide with detailed instructions/photos for games, projects, and activities. There are 5 Power Point presentations and 85 total pages of accompanying activity files (some with suggestions for differentiated learning) that are ready to download and print. Suggestions for younger or slightly older children are given where possible. This file is a large zipped file that contains: a PDF manual with all activity suggestions, a folder containing all Power Points, and a folder that houses all PDF activity files. 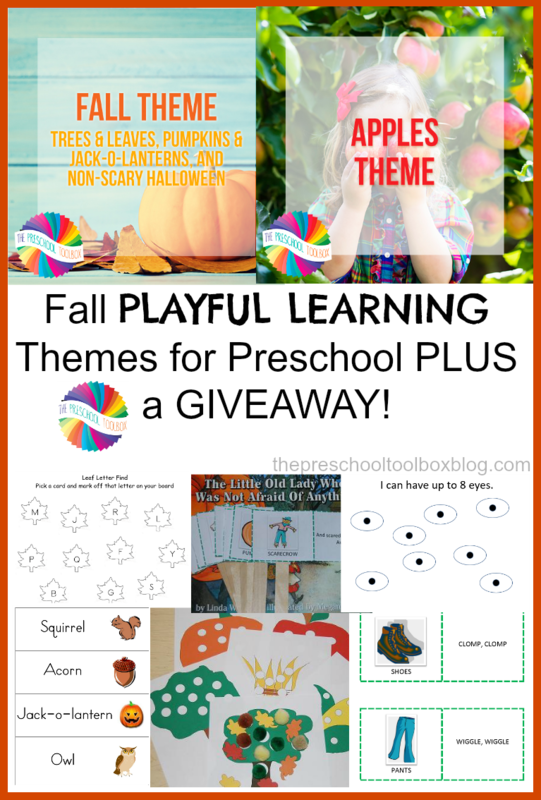 The Fall Theme also includes an extensive book list of all of our favorite fall titles PLUS links to the best of Fall Preschool content from The Preschool Toolbox! and more playful learning activities to explore with your own preschoolers this fall. 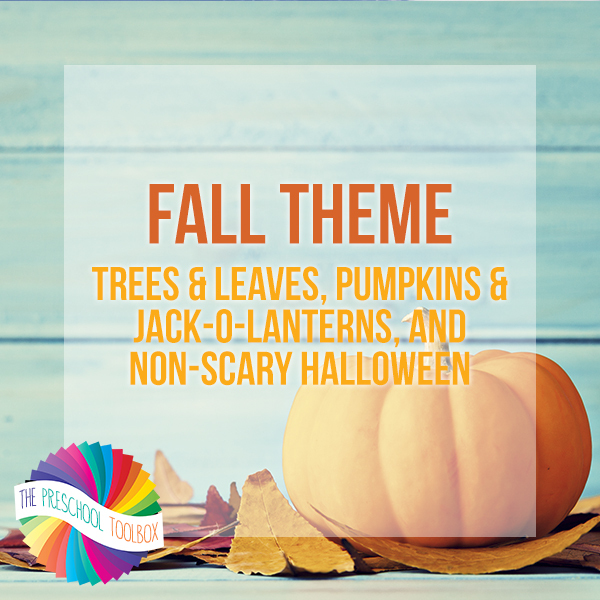 You can purchase the Fall Theme for Preschoolers right here on the blog! You will be sent an email with the download link for immediate use. PLEASE NOTE: Mobile users, please know how to extract contents from a ZIP file and have a PDF reader before purchasing the Fall Theme for Preschool. There are many free apps for working with various file types in the Google Play Store or at iTunes. 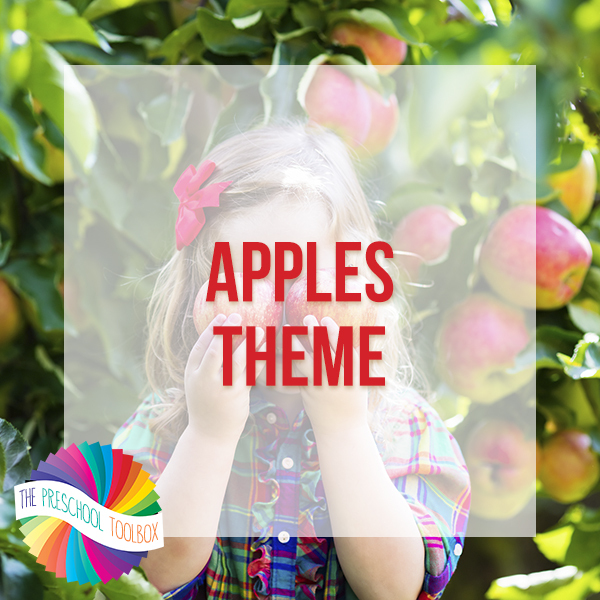 Your preschoolers might also enjoy playful learning with an APPLES THEME for Preschool this FALL! **PLAYFUL LEARNING THEMES GIVEAWAY** – 2 Winners will be chosen! ENTER FOR A CHANCE TO WIN 3 PLAYFUL LEARNING THEMES from The Preschool Toolbox! 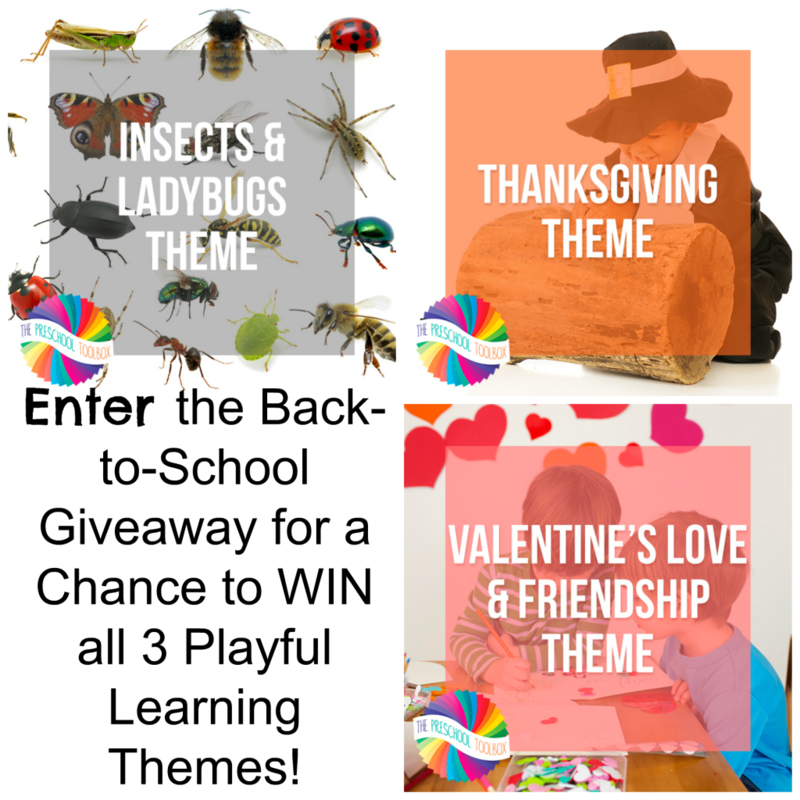 Giveaway Products: 2 Winners, chosen at random, will receive 3 Playful Learning Digital Themes (digital delivery for immediate download): the Ladybugs and Insects Theme, the Thanksgiving Theme, and the Valentines and Friendship Theme for preschoolers. Please Note: Must be age 18+ to enter. No purchase necessary. Void where prohibited by law. Winners will be notified by email and have 48 hours to respond before an alternate winner will be chosen. The Preschool Toolbox is responsible for the digital delivery of 3 playful learning themes the 2 winners of this giveaway. Enter from the form below. Good luck to each of you!